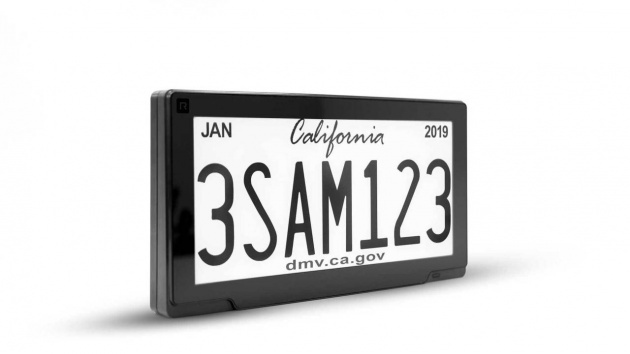 After years of development, Reviver Auto, a California start-up, will begin selling digital license plates to consumers and businesses this month. Reviver claims its product, the RPlate Pro, is the first electronic license on the market worldwide. The plates will be sold through automotive dealers. Galpin Auto Sports will begin selling the plates March 15. Other dealers, such as Penske Automotive, will soon follow, said Neville Boston, Reviver's founder and CEO. He stated that the plates are now legal in California, Texas, Florida, and Arizona, and the company expects Pennsylvania, Nevada, Maryland, and Washington to allow them within a year. The RPlate Pro comes with a bistable display, also seen on e-book readers, and doesn't require constant power. The technology allows for custom messages to be displayed (subject to Department of Motor Vehicle approval). So, for instance, a customer could have multiple specialty plates to display at different times. The new plate does feature optional GPS tracking, and Boston touted the cost savings that DMVs will experience if they can update registration with the flick of a switch rather than by mailing stickers. Automatic renewals will also be convenient for users, he stated.